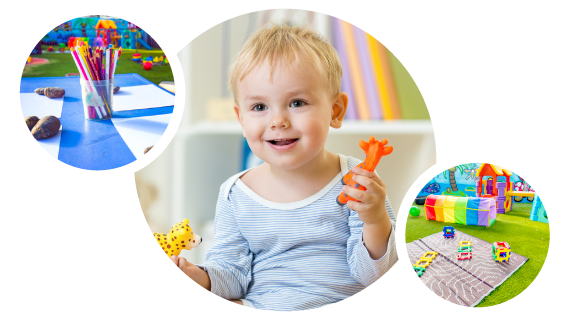 Little Footprints Christian Childcare Centres are family owned and operated with a passion to support our community by providing the highest standard of Christian care to children. Our heart’s desire is to see children grow through quality care and education and to learn about the loving God that created them. We have a comprehensive educational program suiting all ages, including an extensive Pre-Kindy Program, led by qualified and experienced staff. To educate and prepare children for a successful future with Christ as the centre of their lives through a loving and caring environment. “We don’t care how much you know, until we know how much you care”. We believe that God has gifted certain people with the gift of teaching and the love to work with children. Being an excellent staff starts from the heart and stems from there. Therefore, we take recruitment very seriously. Our team is comprised of talented, and experienced educators, as well as many Sunday school teachers with a true passion and heart for children. As a team we work together to achieve our common vision for a Christ centred, and nurturing, educational environment. Little Footprints Christian Childcare centres believe, it is crucial to help your child reach their fullest potential for both this life and the next.